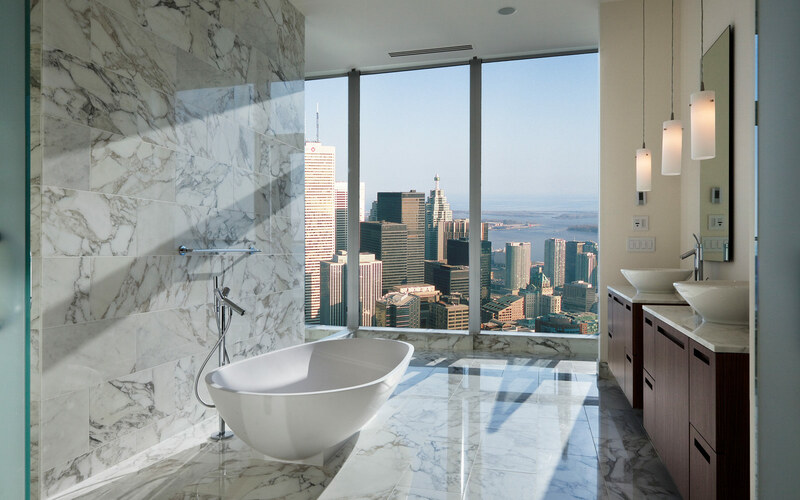 Completed in 2012, this 67-storey mixed-use building is home to 202 luxury hotel suites. 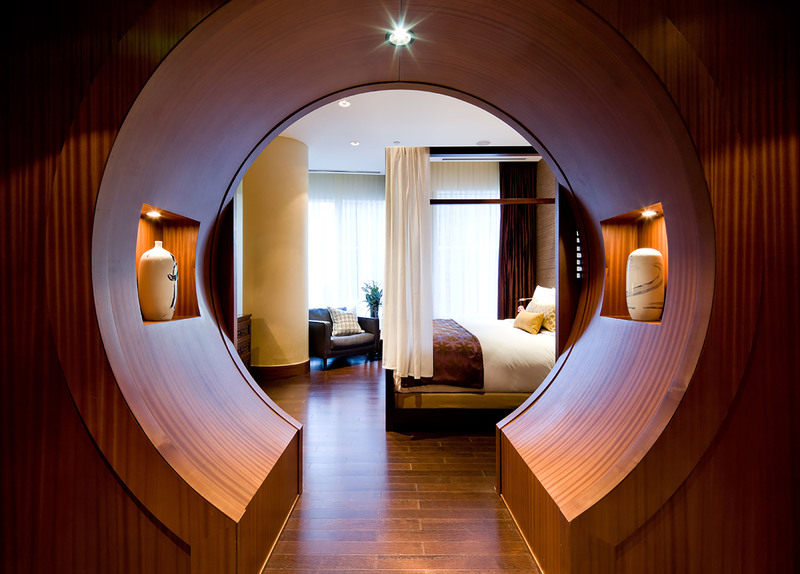 Each room offers impressive views of Toronto’s striking cityscape and is thoughtfully designed with elegant Asian-inspired decor. The building also offers guests a host of amenities including a lap pool, ﬁtness centre and specialty restaurants. Situated within the Shangri-La Hotel is a 33,000 square foot retail component. The luxury retail space is home to a Miraj Hammam Spa by Caudalie Paris, a Blo Blow Dry Bar and Momofuku, a three level, tri-concept restaurant by renowned New York chef David Chang. Also within the building is Soho House, a 10,000 square foot private members’ club located on Bishops Block, which dates back to the 1800’s and was restored brick by brick as part of the development of Shangri-La. 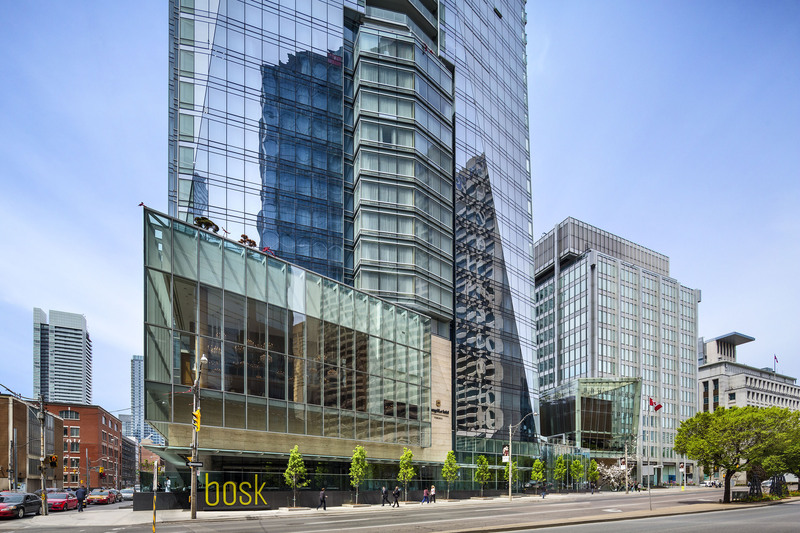 The property is situated in the northwest quadrant of bustling University Avenue and Adelaide Street, providing access to Toronto’s downtown core. Within walking distance of the Shangri-La Hotel, you’ll find the Art Gallery of Ontario, the theatre district and the city’s vibrant waterfront dotted with boutiques and cafés.